Sierra Leoneans in the last two months have seriously been dis-empowered and impoverished, by those elected to serve as custodian and guarantor of the country’s constitution. They have been let down by the behaviour of bad politicians, who have no business in governance. But tonight they will be going to bed with much bitterness, having been robbed by the country’s judiciary of their prime freedom and liberty – the right to free speech, as the Supreme Court issues a ban on the media discussing the current constitutional crisis. For those citizens that had a glimmer of hope and confidence in the Supreme Court to deliver justice in the case involving president Koroma and the sacked vice president, this ‘fatwa’ issued by the Judiciary, has put a nail on the coffin of hope, truth and justice. 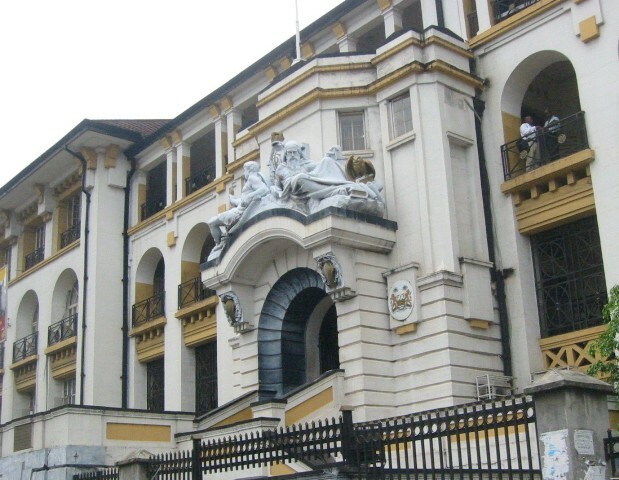 “The Sierra Leone Judiciary wishes to inform the general public that documents have been filed in the Supreme Court in an action entitled: S.C.4/2015, in the matter between Alhaji Samuel Sam Sumana (Plaintiff) and the Attorney General and Minister of Justice (1st Defendant) and Victor Bockarie Foh (2nd Defendant). This decision is nothing short of crass stupidity, akin to the behaviour of communist government commissars and dictators. Any rational thinking person could have reminded the Judiciary of the fact that, this is a public matter that has in the past few weeks positively engaged the public – and rightly so. It has been analysed, scrutinised, discussed, torn-apart, and preached upon, by almost everyone in Sierra Leone and abroad – including the media. So what is there to hide that has not been said? If the Judiciary is afraid that media discussions are capable and powerful enough to influence the thoughts and legal opinions of the Judges that will be sitting at the Supreme Court, then the Judiciary has got a serious problem with respect to professionalism. If the president lacks confidence in the country’s Judiciary to adjudicate upon such a serious constitutional matter, without being influenced by media analysis, then he needs to seriously consider resigning his position as president, rather than asking the Registrar of Courts to issue such immature statement. 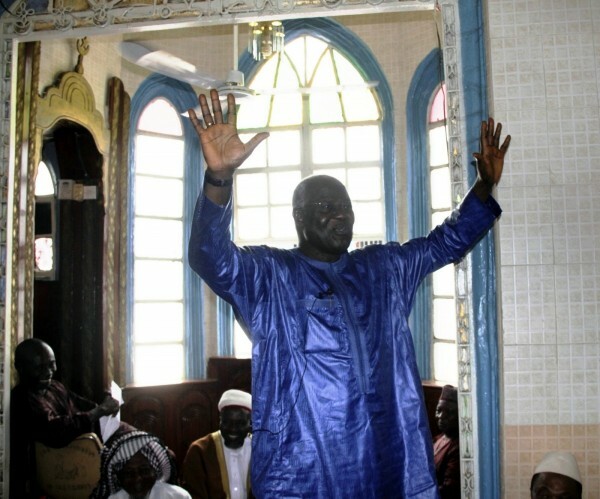 It seems that Sierra Leone’s Judiciary has been reduced to nothing but a village court barray. What has happened to the learned Justices that the people of Sierra Leone were once proud of? Learned men and women who were confident about their knowledge of the law and conviction to uphold the truth. Where are the learned Justices who cared less about public opinion, in the full conviction that they are capable of delivering justice freely and fairly, irrespective of what the public or media thinks or says? In countries where justice is taken seriously, Jurors are protected in the most serious of criminal cases by ensuring that they do not listen, read or watch the media. Not the other way round, where the media is banned from discussing the matter. Why is the government of Sierra Leone continuing to take this destructive path towards fascism and anarchy? 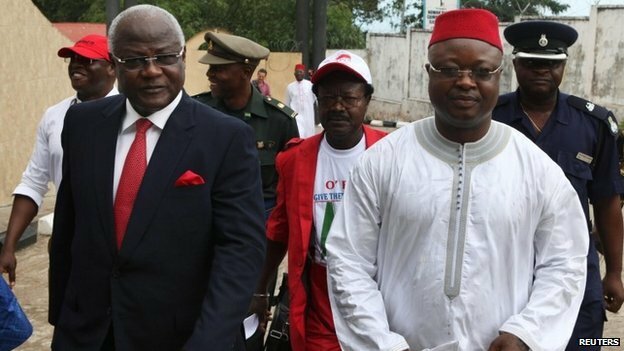 Everyone and anyone that has an interest or is interested in this constitutional crisis, has already made up their minds as to whether president Koroma behaved unconstitutionally or not. So why the media blackout? Why couldn’t the Judiciary arrange for the Supreme Court to meet in closed doors – excluding the media during its deliberations of the matter? This will certainly stop discussion and speculation about the proceedings prior to the arrival of judgement by the Judges. To try to break a nut with a sledge hammer, is not only counter-intuitive, but dangerous, as you could end up losing a finger. And it seems the Judiciary could end up with a much more chaotic and tense nation, after the Supreme Court deliberations, by whipping up so much hysteria. The debates around the rights and wrongs of the president’s decision to sack the vice president, has been good for the development of the country’s liberal democracy and maturing of its civil liberty, which this government is working so desperately to destroy. And what this immature and stupid statement from the Registrar has done, is to put the nail on the coffin of TRUTH and JUSTICE. Sierra Leoneans by nature are among the most highly opinionated of nations in the world, and to curtail their right to free speech in this manner, only serves to raise the pressure and temperature, which could backfire on those sitting on the lid. The Sierra Leone Telegraph calls upon the Supreme Court Judges to rescind this backward facing and primitive statement, and show the people of Sierra Leone that in this 21st Century they are capable of adjudicating without being influenced by a noisy and chatty media. Where are the Justices Berthan Macauleys, C.O.E.Coles, Brights, and several other highly acclaimed Justices of integrity in Sierra Leone today? As former Chief Justice Ade Renner Thomas said in 2005: The “Judiciary has come under very intense scrutiny from members of the public at large, as they cry out for justice in our new democratic dispensation.” He went on to say that the public’s perception of the judiciary is that it is “one of the most corrupt institutions in the country, unable to perform its constitutional role . . . because of lack of credibility and professionalism”. Sadly, it seems not much, if at all, has changed after ten years – a serious indictment of the justice system indeed. But the people of Sierra Leone are waiting for the Supreme Court to give its verdict. And then, it will be the Judiciary that will certainly be on trial – if they allow themselves to be bought by the president. I wonder if it is correct to speak of the Sierra Leone Judiciary or Judiciary of Sierra Leone as though it is a corporate entity instead of an branch of the state. If the press release is bona-fide, should it not be issued on behalf of the Ministry of Justice or as an Order of the Supreme Court, which is due to hear the case? Suppose journalists decided to disregard this press release, we are not certain what laws will be broken in further reporting. The press release makes no mention of any particular legislation on which the advise to desist from all discussions or expressions of opinion is based – other than that the case is sub-judice and pending before the Supreme Court. The legality of this press release should be tested, and we should continue to comment on the President’s actions in sacking Sam Sumana, who as far as I am concerned is still the elected Vice President of Sierra Leone. Therefore assuming that there are lawyers who are still prepared to defend hard fought for freedoms and who do not want to see these reversed by political elites hiding behind questionable processes, I would re-iterate that in my humble opinion the Constitution does not provide any legal basis for an elected Vice President to be dismissed from office by the elected President. Stephen Yaya Mansaray – come and arrest me! If I am correct, gag orders are usually placed on those directly involved with an on-going case, not the general public. I therefore do not believe that the gag order argument is sound in this case. The public should have the right to discuss their opinions openly, because that’s all they are: Opinions. Kamara I am not a fan of Sierra Leone Telegraph but I do respect them for their honest and fearless reporting. You seem to be begrudging them of the liberty they have granted you to express yourself so freely without dumping your rather rude, arrogant comment Which cannot be said for your ilk running Salone judiciary as well as occupying state house. What respect do those primitive and corrupt public officials deserve after behaving so disgracefully? You sound like someone who is abroad benefiting from the loot and sins of those in power here in Freetown. If newspapers such as the Sierra Leone Telegraph do not stand up for justice what chance do we have here in Salone. So please stop stifling free speech like your sorts are doing here in Freetown. Integrity of those in power my foot. You sound very insecure. If I was the editor of Salone Telegraph I will ban you for your disregard for press freedom. When someone responds to a challenge either by violence or name calling then its clear that they have lost the argument. will not respond to your characterisation of who I am or my intentions because that pales in comparison to the constitutional crisis Sierra Leone is facing. The constitutional question is bigger than Mr. Sumana. I believe that whatever our affiliations, in a constitutional democracy we should allow the rule of law to prevail. 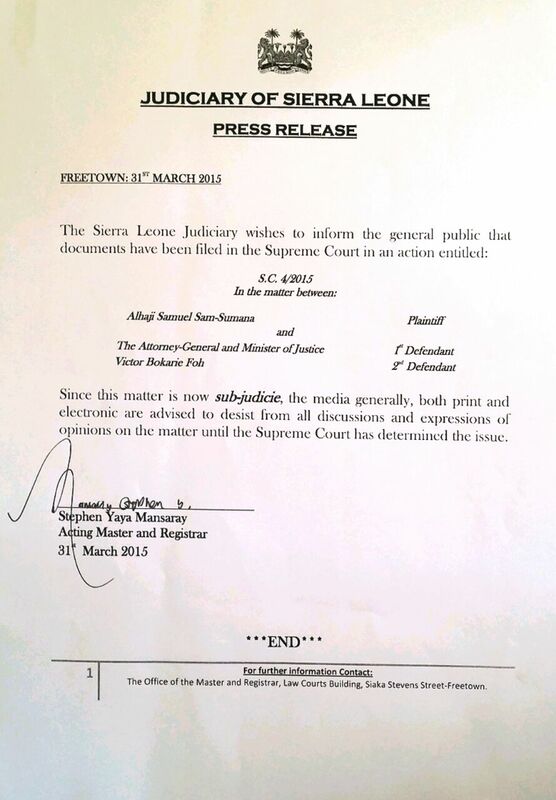 Are these justices without reproach, and will adhere to the dictates of the law and constitution of Sierra Leone? We should trust that they can and will do. Accusing them of a sin not yet committed is counterproductive in my opinion. We should be able to discuss Sierra Leonean issues without name calling and character assassinations. I know the above response is typical of those who wants to hijack the debate. As an aside let me say, the only Sierra Leonean news outlet on the web I’ve ever written to is The Telegraph. I trust that the editor, despite our differing opinions, will entertain contribution from left of field. I appreciate what he does, and I hold him to a much higher standard than most. The above article is inflammatory, biased, disrespectful and lack proper understanding of the judicial process. The fact that there are varying and conflicting views of the president’s decision is the reason why this is a matter for the highest court in the land. As Sierra Leoneans, we should be respectful and proud of the job they do even if at times we don’t agree with their decisions. Making wild accusations and impugning their integrity is not ideal. This order is nothing new in any jurisdiction in the world. Gag orders have been issued by judges all around the world and Sierra Leone is no different. Let stop making mountains out of mole hills. We should stop allowing partisan bickering from allowing us to address the grave constitutional questions that must be answered so that this will not happen again. Gag orders can be abused, but in this case I believe it will be in the best interest of the complainant that deliberations are not misconstrued/misrepresented before judgement is passed. What will happen if those in the media continue reporting on this matter? What law would they be violating? Is a supreme court case not news? First EBK unconstitutionally fired the VP, then he locked all 6 million of his citizens in their homes for three days, and now he wants to control what is reported by the media. He has nothing positive to show for his two terms in office, but he has time to pick these schoolboy fights. A real shame for the people of Sierra Leone. Nigerians have shown what to do when you’re fed up with a leader. If Sierra Leoneans are wise, they will exercise the power of the ballot. EBK and his tyrannical regime must go!